I always knew that come Autumn 2016 I'd be needing to invest in some stretchy pants. 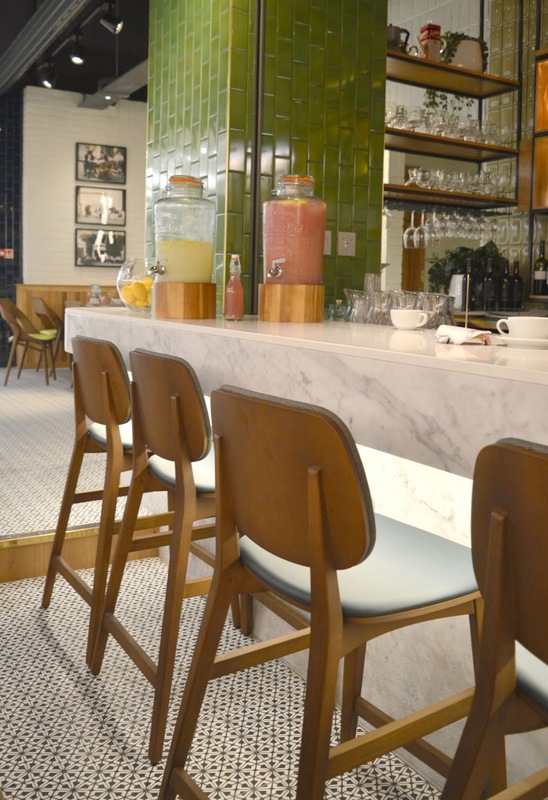 You see, along with the rest of Newcastle, I have spent the last year counting down to the arrival of Grey's Quarter, Intu Eldon Square's new dining area. No one could argue that Eldon Square has been in desperate need of some restaurants for a rather long time. Although it may be a little disappointing that the space will be completely occupied by chain restaurants (I was dreaming of a Trinity Kitchen type space like those lucky folks in Leeds) I don't think anyone can deny that the new arrivals will do wonders for Newcastle's high street. After months of being boarded up I was so eager to take a look at the new Grey's Quarter and was very excited when I first stepped through the door and the smell of new flooring and paint hit my nose. The place looks fantastic and has really brightened up the once dingy and dated part of Eldon Square. Being a little greedy I fully intend to work my way round the whole of Grey's Quarter so it's a good job that the restaurants are opening in stages. Having received an invite to their VIP night, the first restaurant on my list was ASK, one of the very first restaurants to open. I swung by with my friend Kelly for a night of Italian feasting. It's been many many years since I last dined in ASK, so long ago in fact that I couldn't really remember much about it or what to expect so I was pretty eager to look over the menu when it arrived at the table. Don't you just love brand new restaurants when the menus are super clean and pristine? Make sure you get yourselves down to ASK before people start spilling stuff over them because I have to say I was really admiring the beautiful gold and green menus. 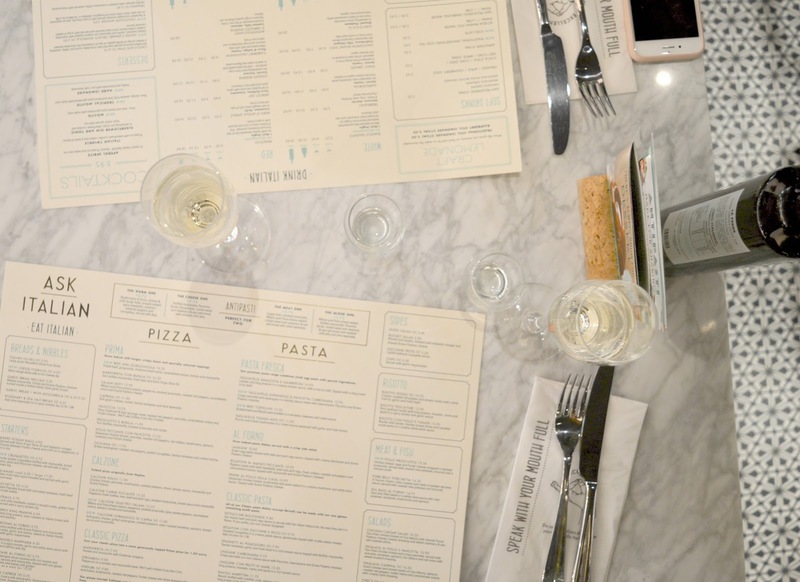 Once we'd finished marvelling at the lovely new space (the marble tables, tiled flooring and beautiful bar gets a bit thumbs up from this Instagram addict) we tucked into an Antipasti washed down with a glass of Prosecco. 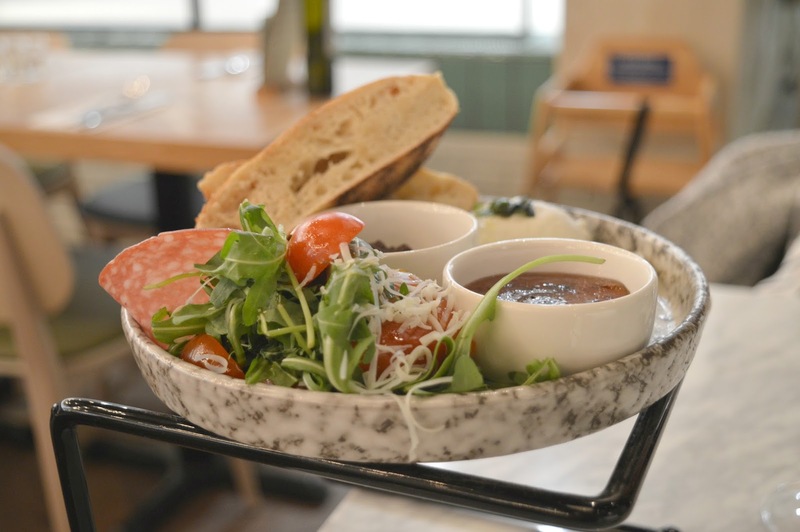 The mixed antipasti plate (£12.75) was covered in Milano and Finocchiona salami, buffalo mozzarella, Pecroino Sardo, rocket salad, and rosemary & sea salt bread served with smoked chilli jelly and olive tapenade. 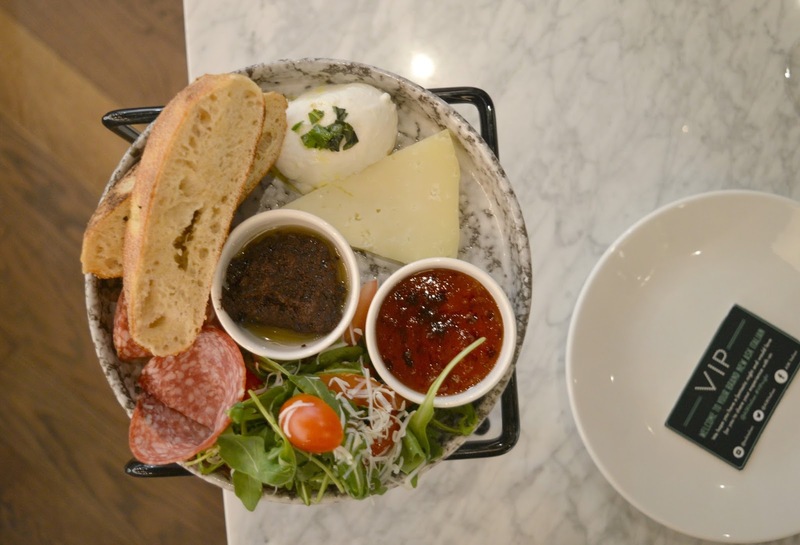 I love sharing a plate of food with a close friend, it works best if they pretend not to notice when you take more than your fair share of the cheese! That's when you know they're a keeper. On to the main event and as usual I couldn't help overindulging and ordered the Calzone Formaggio Di Capra. You'd think I would have learnt by now how big calzone is and that it usually completely finishes me off and leaves me rolling around for the rest of the evening. 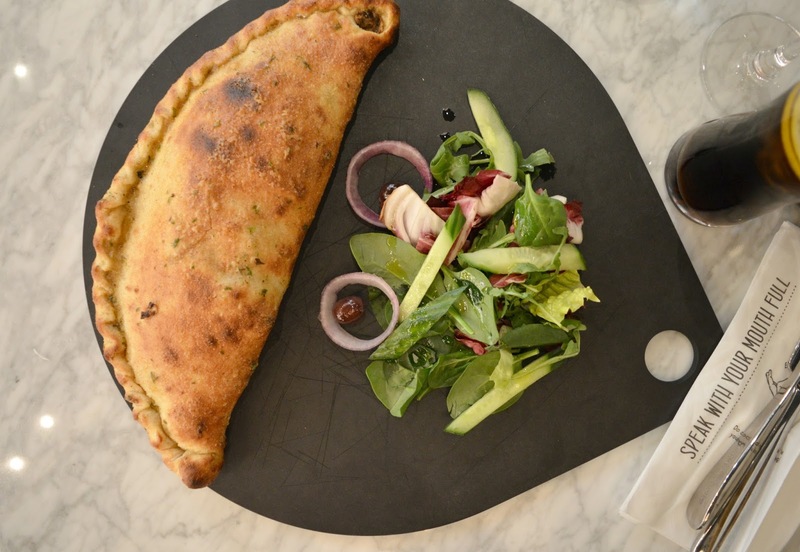 The Calzone Formaggio Di Capra (£11.85) is new to the ASK menu and I just couldn't resist the promise of soft goat's cheese, spinach, grilled aubergine, roasted peppers and mozzarella. Most of my favourite foods stuffed into a folded pizza. How could I ever resist? 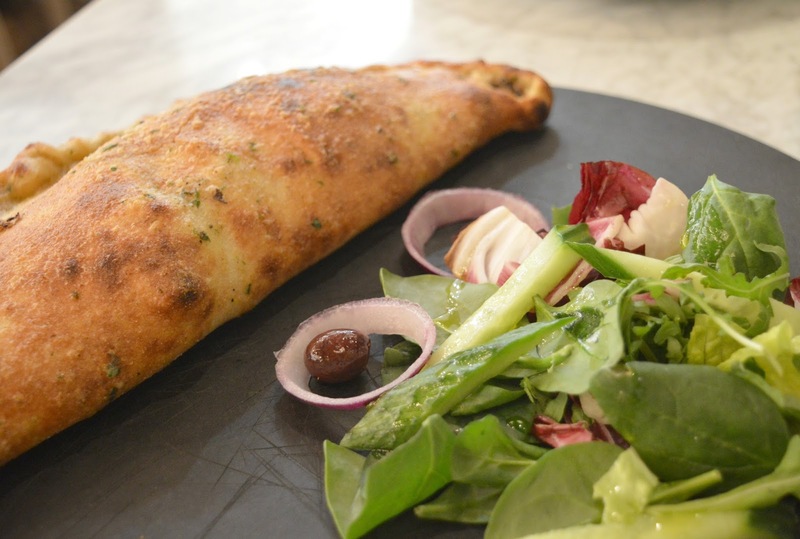 Although ever so slightly overdone in parts on the outside I really enjoyed my Calzone which was packed with flavour and had so much mozzarella I had to wind it round and round my fork - SO good! You're perhaps thinking that after eating such a mammoth main course that I politely declined the opportunity to look at the dessert menu. Yeah right, this is me we're talking about! The ASK dessert menu was full of tempting treats and has given me a nice little list of things I'd like to try. 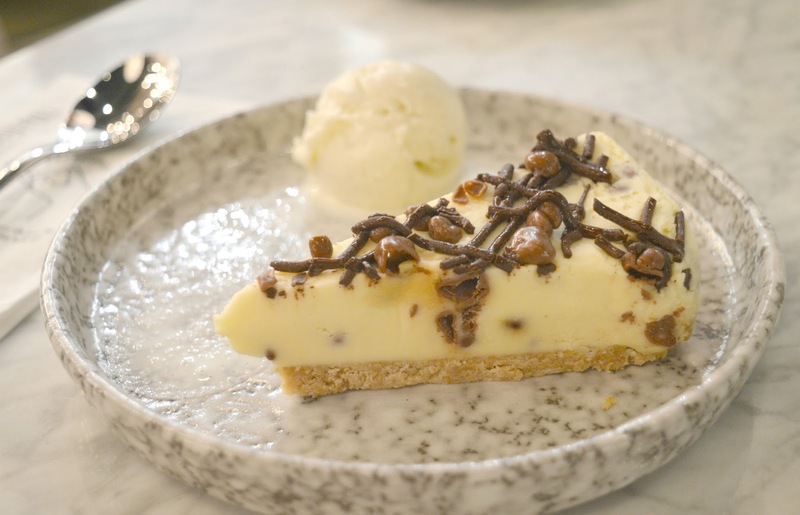 This time I opted for the Honeycomb Cheesecake (£5.95) served with a scoop of vanilla gelato. Far too indulgent for a Tuesday night, the cheesecake was a very generous serving and deliciously creamy. 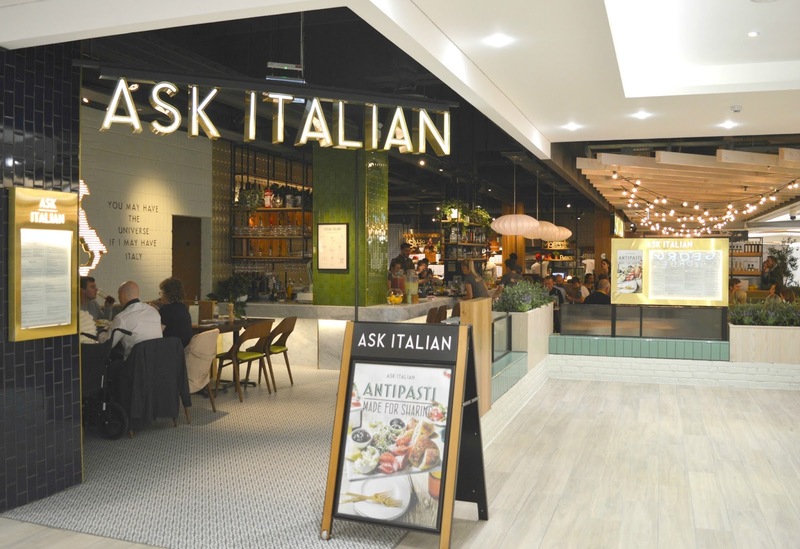 I enjoyed my visit to ASK Italian and I'm sure I'll return next time I'm wandering round Eldon Square and my shopping bags get too heavy. Any recommendations on where I should go next on my exploration of Grey's Quarter? We were guests of ASK and attended their VIP Night with a complimentary meal. All opinions and words are my own.